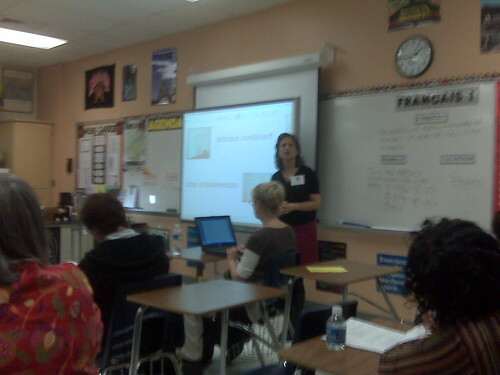 PUWT 2008 – Session 4: Using the SMART Board – It’s Elementary! 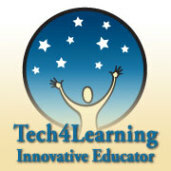 Education.smarttech.com – a way to share interactive activities for the SMART board. Showing a bunch of cool activities, some from the above site, others integrate media from Discovery Education Streaming. Cover a whole picture in a solid color, then “erase” the picture to reveal it gradually. Since the pens write in a layer on top of the screen, the images are preserved. Drag-and-drop exercises, where students organize things (words, shapes, coins, etc.) by dragging them with their fingers. Telling time with clocks taken right out of the school kit gallery. You can make dice! Import whatever images you want for each side. The one she showed us was 6 sided, but there are polyhedral dice availible.